issue state citations to non-Indians for state traffic violations on the reservation. pursue non-tribal traffic law violators and fleeing suspects past reservation boundaries. under certain circumstances, arrest non-Indians for state crimes committed on the reservation. The agreement is part of a new Memorandum of Understanding (MOU) between the Suquamish Tribe and Kitsap County, and fulfills the conditions of a Washington State statute that, upon request, requires county governments to enter into agreements with tribes when they share jurisdiction on an Indian reservation (RCW 10.92). The KCSO and SPD have worked together to provide law enforcement services on the Port Madison reservation for many years. However, depending on the type of land ownership and the Indian status of individuals, the rules for jurisdiction changed for each agency. KCSO Lt. Jeffrey Menge pointed out that prior to the MOU a tribal officer had (and still has) the right to detain any person suspected of a crime and could investigate any crime on the reservation but they could not make any formal arrests or transports under state law. This will now change. An example of this new collaboration can be illustrated with a common DUI Investigation. In the past, a tribal officer had the ability to stop and detain a person suspected of DUI on the reservation but once they determined the suspect was “non-Indian”, the officer was required to stop and wait for a KCSO Deputy or State Trooper to respond and finish the investigation. Under the MOU, the Suquamish officer can now complete the entire investigation under state authority, including arrest and transport to the jail, thus eliminating the need to tie up other officers and duplicate efforts. The Suquamish Police Department includes a Marine Division, that also coordinates with Kitsap County Sheriff Deputies. “It doesn’t take two cops to do the work of one cop. Tribal officers and citizens have been stuck on the side of the road awaiting the arrival of a Deputy, who in many cases was pulled away from a more serious investigation to come handle a minor offense. It gets worse; two officers now have to write reports, receive subpoenas and will have to go to court at substantial cost to two different governments. These are low level cases; traffic violations and misdemeanor property crimes. 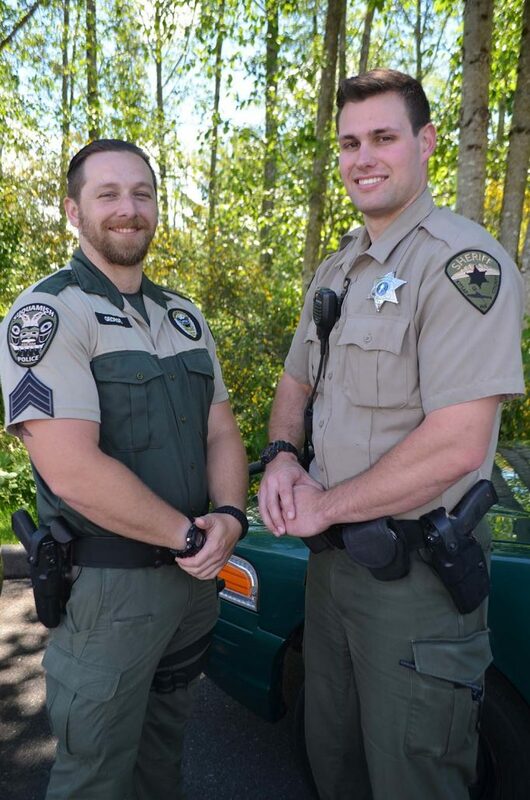 We want our deputies out there catching burglars and heroin dealers, not driving 20 minutes to write a suspended driver a citation we could have issued in 90 seconds,” said Suquamish Police Chief Mike Lasnier. Kitsap County Sherriff will be hosting an open house for those who want to know more at 5:30 p.m. on June 22, 2017 at the Suquamish United Church of Christ, 18732 Division Ave. NE, Suquamish, WA 98392. For more information on the interlocal agreement, check out our Suquamish Police Frequently Asked Questions Page or download a printable brochure by clicking here. It is a common misconception that our community has drug dealers skulking about, offering heroin to passing school children in an attempt to get them hooked on opioids. The truth is far more mundane, and more dangerous. Of people who start to use opioids, the majority start with prescription pills. The vast majority of our current heroin addicts became addicted when they were prescribed oxycontin by doctors in years past. When oxycontin was suddenly restricted, a large number of people were left addicted, with no source of opioids other than inexpensive brown tar heroin. Doctors are supposed to access a website, where they can review and confirm that their patients aren’t already receiving opioids from one or more other doctors. Only 1 doctor in 3 uses that system, so 2/3 of the opioids being prescribed are being prescribed “blindly”. Even this isn’t the source of opioids for most new users, though. Who is the source? Who is getting new users hooked on these opioids? In most cases, it’s you…your family….and your friends. It’s not some shady guy in an overcoat slinging drugs in a dark alley. It’s your medicine cabinet. According to the 2016 DEA Threat Assessment, “Recent Initiates” to opioids get their pills “obtained from friend/ relative for free or without asking” 66.2% of the time. They get them “prescribed from one or more doctors” 19.3% of the time. Folks…we’re at 85% already, and no drug dealers have been mentioned yet. The remainder is bought from friends and relatives, purchased off of the internet, and a tiny percentage purchased from people we would consider “drug dealers”. The drug dealers account for somewhere between 1-4% of the source. This isn’t a “police” problem. Just paying for cops and walking away isn’t a viable solution. If we arrested every drug dealer at the Reservation border before they could enter, we’d still have over 95% of the source of these opioids in place. What about frequent, chronic pill users? They are still getting the pills from friends, family or doctors without cost nearly 70% of the time. They are purchasing them 24.5% of the time, but many of those purchases are from friends and relatives. The police can’t be in your living room every time the family comes over, and you don’t want us there. Where do the family and friend get all of these opioids? In 83.8% of the cases, from one doctor, who is still following old, incompetent prescribing practices and is prescribing way too much medication when it’s no longer needed. In some cases, the doctor is the culprit; in many cases, it’s us! We don’t use all of the medication, but we keep it in the house, waiting for someone to be tempted. Get all of your unused pain pills out of your house. The Suquamish Police department is the only full time DEA “Drug Take Back” location in Kitsap County. We have taken over 400+ pounds of opioids off of the streets using this program. It’s easy; walk in, drop the pills bottles into the box. Walk away. You don’t even have to talk to anyone. It’s the big green metal box. We clear out the contents and ship them to the DEA for incineration. No cost, no forms, no hassle. If an elderly or disabled family member is hospitalized, moves to a nursing home, or passes away it is critical to get their prescription pills collected and dropped in a drop box for destruction. If you have young people in your life, and they get a sports injury, or have a minor surgery, do NOT let them be prescribed opioids. Recent studies show that any use of opioids prior to the age of 18 leads to a 30% increased chance of opioid addiction as an adult. What about overdoses? Heroin is far more dangerous than prescription pills, right? This answer is, historically, no. Prescription opioids have killed dramatically more users than heroin. Even today, with the extremely dangerous fentanyl laced heroin, prescription opioids are still killing more people here in Washington State. Of all opioid overdoses, prescription opioids are killing users roughly 60% of the time, with heroin killing the other 40%. If you or someone you know needs to use opioids, ask for a prescription of nasal naloxone at the same time, so you have the antidote to go with the medication, in the event of an overdose. Tell everyone in your household where the Naloxone is kept. Chief Lasnier is Vice Chair of the Opioid Steering Committee for Clallam/ Jefferson/ Kitsap Counties, working cooperatively as a team with doctors, treatment providers, mental health workers, police, prosecutors, courts, emergency medical staff and responders and others to find solutions to this opioid challenge. It’s going to take all of us, and more importantly it’s going to take all of you! Slow or no breathing, shallow ragged breaths, strange snoring noises. Call 911. Tell the dispatcher where you are and that someone is not breathing or is unconscious. If you are trying to help in an overdose, WA State’s 911 Good Samaritan/Overdose Law protects both you and the overdose victim from drug possession charges. Don’t be afraid to call 911 for help! If you are trained in 1st Aid or CPR, proceed as you were trained. If not, the 911 operator will help you until assistance arrives. 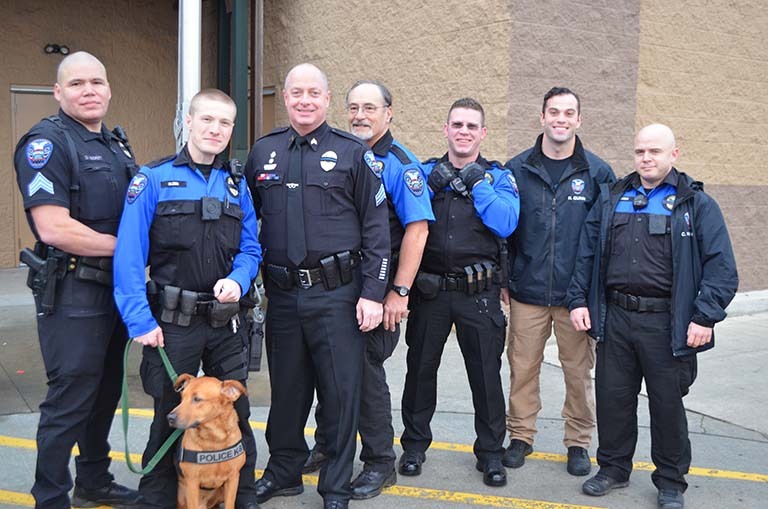 Suquamish Police attending the Shop with a Cop event in Poulsbo, WA. Did you know that Suquamish Police Officers get over 400% more training each year than the State of Washington requires? Or, that we have the toughest ongoing fitness requirements for Patrol Officers in the United States? Today, training is incredibly relevant to Law Enforcement. The most important areas of training are topics which are called “High Risk/ Low Frequency” events. Those are things that don’t happen often, but that are dangerous or life-and-death when they do occur, such as armed robberies and performing CPR. If we do something every day, like traffic stops, we get pretty good at them. If we only do something once every 2 or 3 years, then we don’t get much practice, so we need to train to maintain the skill. Many tasks performed by police officers have a “physical skill” element. If we think of our children’s sports teams, we see the best model for developing physical skills; regular practice. Imagine If you sent your child to participate in a sport, and the coach said “OK, we’re going to have one practice next Friday for 8 hours, and then we won’t practice again for 5 months, when we will play for the championship!” All of our eyebrows would go up; we know that our team wouldn’t perform well if they hadn’t worked together as a team for 5 months, or developed our basic skills and abilities. Part of practicing is learning to deal with the time-pressure and split second decision making in practice, so we make good decisions during the game. Police work is no different. What kind of basic training do police officers receive? Well, first they are screened. All officers who work for the Suquamish Police Department meet the same standards as any other officer in Washington State. They have all passed a Physical Fitness Test, a polygraph examination, a psychological examination by a psychiatrist, a criminal records check, a detailed background investigation, drug testing, a written test and multiple selection boards; one with police officers from Suquamish and neighboring communities, and a second with Council members, elders, youth and community representatives. Then, those who qualify are sent to a basic academy. In Suquamish, we use both State and Federal Academies depending on where there are vacancies. The Federal Academy is about 660 hours long, and the State Academy is 720. If we send an officer to the Federal Academy at the Federal Law Enforcement Training Center (FLETC), they are also sent to a State Equivalency Academy for an additional 80 hours, receiving a total of 800 Academic training hours. After completing the Academy, they return to participate in Field Training with a Field Training Officer (FTO). This program is an additional 4 months working under the supervision of a senior officer, learning the community, geography, and specific laws, policies, report writing systems and of the things that are specific to Suquamish. The FTO completes a daily scoring sheet on the officer, and they immediately correct any mistakes. This training would also include spending time with Detectives, Fisheries Officers, at CENCOM/ 911 and with neighboring agencies. By the time the officer is ready to work alone without supervision, they have been training for the better part of a year. After completing their basic training, officers must receive continuous in-service training to maintain their skills. The Standard required by the State of Washington is 24 hours of “In-Service” training per year, to maintain police certification. Testing and Qualification courses do NOT count towards this training time; testing is separate. One of the advantages of being a Sovereign Government is that the Tribe has the ability to set its own standards. The Suquamish Tribe exercises its Sovereignty by requiring it’s police to meet a higher standard than the State of Washington. We require each officer to meet a minimum of 40 hours of training per year, rather than the 24 required by the State. That is our minimum, but we never strive to meet the minimum. In 2016, our average training hours per officer was 108.2 hours. This is 400% more than the State of Washington requires, and 250% above our own higher standard. Some in-service training topics include handcuffing, legal updates (Federal, State and Tribal), emergency vehicle operation, communication skills, policies & procedures, investigations, patrol procedures, DUI and drug impaired drivers, domestic violence updates, ethics, crisis intervention & mental health, narcotics investigations and many others. In 2016, we also hosted 2 different 40-hour conferences for all of the Law Enforcement agencies in our region. One was on “Crisis Intervention Training”, which gives police officers up to date detailed information on the best ways to interact with people who are suffering from mental health challenges. The other was “Transformative Use of Force Practices for Supervisors and Trainers”, which focused on the most current best practices in the area of police use of force. It was taught by folks who are involved in the development and restructuring of the Seattle Police use of force training, to ensure it meets the constitutional demands and civil rights standards of the modern era. Every Trimester, the officers are required to pass a fitness test to ensure they are maintaining a condition of readiness to respond to emergencies. The test may be the State standard of a 300 meter sprint, 1.5 mile run and sit-up and push-ups, but we also vary the tests to keep them interesting, and ensure that our officers don’t become injured by over-training in the same events all of the time. Much of our fitness training is geared towards maintaining mobility, and “injury-proofing” our officers. We also develop practical skills like pushing, carrying and dragging heavy objects, so that we can pull folks out of burning cars or houses (which we’ve done). Fit officers handle stress better, and make better decisions under pressure. No other agency in the State of Washington conducts mandatory fitness testing each Trimester. Most departments do nothing, and a few test once a year, but passing the test is usually not required. Some give financial incentives to officers who stay fit; we feel it’s already a basic part of the job. Our position is that you pay for police officers who are able to respond and assist you in an emergency, and you deserve to have officers who are trained and prepared to do so. The officers are given on-duty time to maintain their fitness levels. If you have any questions regarding law enforcement training, please feel free to contact me! Naloxone, also known as Narcan, can save the life of a person who has overdosed on heroin. Opioid overdose has become a leading cause of accidental death in Washington State. Prescription opioid involved overdose deaths increased from 0.4 per 100,000 in 1995 to 7.4 per 100,000 in 2008. The rate dropped to 6.0 per 100,000 in 2010. The three opioids most often involved in overdose deaths are methadone, oxycodone and hydrocodone. Methadone has been involved in the majority of the deaths. States with higher sales of prescription opioids have higher rates of overdose deaths. Fatal and nonfatal overdose can result from the ingestion of opioids such as morphine, methadone, heroin, fentanyl, oxycodone as found in OxyContin®, Percocet® and Percodan®, and hydrocodone as found in Vicodin®. Heroin in Washington State varies in purity from 3.5% to 55% active ingredients; the users have no way of knowing the source or purity of the drug from one purchase to the next. Naloxone, commonly known by the brand-name Narcan®, is an opioid antagonist which displaces the opioid from receptors in the brain and can therefore reverse an opioid overdose. It is not a scheduled drug and it has no euphoric properties and minimal side effects. If it is administered to a person who is not suffering an opioid overdose, it will do no harm. Naloxone has been available as an injectable since the 1960s, but was recently developed as a nasal spray. 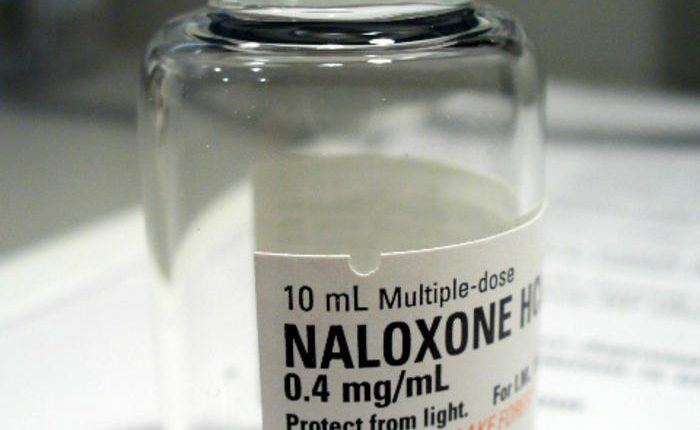 To reduce the number of fatalities which can result from opioid overdoses, the Suquamish Police Department will train its officers in the proper first responder administration of nasal naloxone. (No needles, just a nasal spray, kind of like afrin or other nasal medications) In order to implement a safe and responsible nasal naloxone plan, the Department will establish and maintain a professional affiliation with a Medical Physician who will provide medical oversight for Departmental training and policy relating to the use of nasal naloxone. The Medical Physician shall be licensed to practice medicine within Washington State. At his or her discretion, he or she may make recommendations regarding the policy, oversight, and administration of the nasal naloxone program developed and implemented by the Department. Our preference when someone is experiencing an overdose is to secure the scene, get the medics in there and transport the person to a hospital. Sometimes, people use heroin or other opioids in rural or “out of the way places” to avoid detection, making it hard for a large fire truck to reach them. In some cases the scene is dangerous, and the fire department won’t respond until those dangers have been dealt with. Nasal Naloxone will buy time for the person until we can get them the help they need. It also makes it easier on the officers; if you’ve ever performed CPR for a length of time, it can be exhausting work. Naloxone allows us to quickly assist a patient in extreme distress, and restore the vital functions of their body until they can get advanced help. Some people worry that having access to these emergency antidotes encourages drug use. Research studies have investigated this common concern and found that making naloxone available does not encourage people to use opiates more. 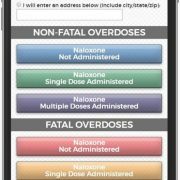 The goal of distributing naloxone and educating people about how to prevent, recognize and intervene in overdoses is to prevent deaths. Other goals, such as decreasing drug use, can only be accomplished if the user is alive. As Law Enforcement, we’re in the life saving business. A person can’t go to treatment if they die from a drug overdose. The Tribe is still considering its full spectrum of options regarding how to deal with all of the legal and social issues involved, but the common practice of the Suquamish Police is to not target people who make a call that saves a life. Making the call won’t forgive every illegal thing you’ve ever done, but we’ll give you quite a bit of consideration for doing the right thing.